BHEL | Govt. Jobs | Engineer Trainee | Last Date: 26 November, 2015. Posted in Apply online, Electrical, Government Job, Job After Btech, Mechanical. Tags: 2015., BHEL, Engineer Trainee, Govt. jobs, Last Date: 26 November on November 3, 2015 by Lalit Joshi. IIA Indian Institute of Astrophysics | Govt. Jobs | Engineer Trainee | Last Date: 22 June, 2015. The Indian Institute of Astrophysics is a premier institute devoted to research in astronomy, astrophysics and related physics. The main campus of the Institute is in Koramangala, Bangalore, whereas the Hosakote campus, near Bangalore houses the Centre for Research and Education in Science and Technology (CREST). The main observing facilities of the Institute are located at Gauribidanur, Hanle, Kavalur and Kodaikanal. Educational Background: BE/ BTECH (Mechanical/ Electronics) from a recognized University with at least 60% marks. Posted in Apply online, Electronics and Communication, Electronics and Instrumentation, Electronics and Telecommunication, Government Job, Job After Btech, Mechanical, With experience, Without Experience. Tags: 2015., Engineer Trainee, Govt. jobs, IIA, Indian Institute of Astrophysics, Last Date: 22 June on June 6, 2015 by kavita joshi. 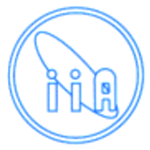 IIA Indian Institute of Astrophysics | Govt. Jobs | Engineer Trainee | Last Date: 18 May, 2015. The Indian Institute of Astrophysics (IIA) is an autonomous academic national institution of the Department of Science & Technology, Govt. of India dedicated to research in Astronomy, Astrophysics and Allied Sciences & Technology. The Institute has its main campus in Koramangala, Bangalore and CREST Campus at Hosakote, Bangalore. It operates field stations at Kavalur & Kodaikanal in Tamilnadu, Gauribidanur in Karnataka, and Leh/Hanle in Jammu & Kashmir. Education: BE/ BTECH (Electronics and Telecommunication/Computer Science) from a recognized University with 60% marks. Posted in Apply online, Computer Science, Electronics and Telecommunication, Government Job, Job After Btech. Tags: 2015., Engineer Trainee, Govt. jobs, IIA, Indian Institute of Astrophysics, Last Date: 18 May on May 2, 2015 by kavita joshi. IIA Indian Institute of Astrophysics | Govt. Jobs | Engineer Trainee | Last Date: 13 March , 2015. The Indian Institute of Astrophysics is a premier institute devoted to research in astronomy, astrophysics and related physics. It traces its origins back to an observatory set up in 1786 at Madras which from the year 1792 began to formally function at its Nungambakkam premises as the Madras Observatory. In 1899, the observatory moved to Kodaikanal. In the year 1971, the Kodaikanal Observatory became an autonomous society, the Indian Institute of Astrophysics. The headquarters were shifted to Bangalore into its present campus in Koramangala in 1975. Posted in Apply online, Civil, Computer Science, Electronics and Communication, Electronics and Instrumentation, Electronics and Telecommunication, Government Job, Job After Btech, MCA. Tags: 2015., Engineer Trainee, Govt. jobs, IIA, Indian Institute of Astrophysics, Last Date: 13 March on February 28, 2015 by kavita joshi.